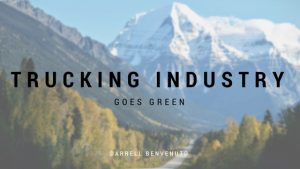 Darrell Benvenuto writes on the unique benefits of entering the trucking industry. 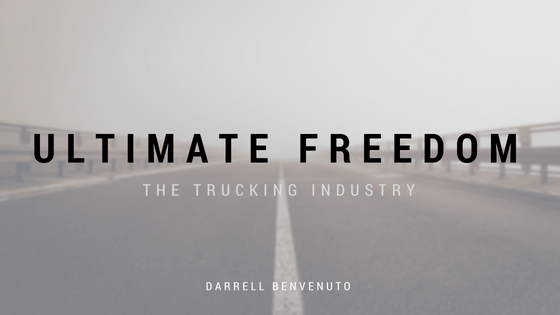 If there is one industry that offers ultimate freedom of choice in jobs, it’s the trucking industry. If you don’t agree, hear me out. Believe it or not, the trucking industry offers a host of jobs that are attractive and lucrative to people with a wide range of interests. Whether you choose driving, trucking management, dispatching, mechanic, general administrative, customer service or operations jobs, the trucking industry has a career in a variety of different interests and skill sets. For those who love the open road, jamming out to their favorite albums, or listening to a great podcast, trucking can prove to be a lucrative career that allows you to do just that. Also, the trucking industry is a great career for individuals who like to travel and get out and explore. The average truck driver travels about 2,000 to 3,000 miles a week, which is about 156,000 miles a year. In addition to driving a diverse range of vehicles, the trucking industry also offers jobs in trucking offices that keep employees busy and enhance their customer service, dispatching, and administrative skills. These jobs always offer a daily dose of interesting facets of the trucking business. If you’re interested in pursuing a career in the trucking industry, you can find information on trucking industry careers at state and federal departments of transportation. Many employees in the trucking industry reach a goal of owning their own business. Thankfully, this is possible due to daily exposure to trucking business operations, something that allows drivers to learn the ins and the outs of the industry. It’s also not that far off to think that drivers couldn’t reach a place where they can invest in their own truck or business, as the starting salary for a truck driver is about $50,000 a year for entry-level positions, depending on the company and region in which you are employed. Salaries in the trucking industry depend on the type of job but range from $50,000 for those entering the career too well into the six figures for experienced and seasoned trucking career employees – well above the median line for many people entering entry-level positions out of college. Trucking ownership incomes vary according to the nature of the business, business location, owner experience, and business assets. 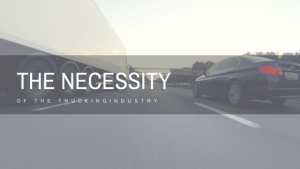 However, most trucking business owners in the first years of business operation can expect to earn an average of $200,000 annually, depending on business expenses. In addition to the variety of jobs available, rewarding salaries and job growth opportunity, a career in the trucking industry ensures a promising future that offers stability and security in a seemingly ever-changing world. Previous PostMillennials Are the New…Truck Drivers? Next PostThe Trucking Industry Goes Green?